Consistency: Thick – solid at room temperature. Absorption/Feel: Absorbs fairly well, leaves slightly oily residue. Color: Light to Dark Brown, to Rich Green. Shelf Life: 2 years – storage in a dark, cool area is recommended. Benefits: Traditionally used by men to regrow hair and prevent baldness and both men and women used neem to help combat lice, help skin allergies and dandruff. Neem is used externally for ringworm, eczema, psoriasis, herpes, allergies, scabies, syphilitic sores, chicken pox, sunburn, itching, lice, and fungal infection as well as for painful joints and muscles. It is also used to deter mosquitoes, fleas, flies, ticks, and mites. Beauty uses include the fighting of acne and pimples as well as improving skin elasticity. Neem is very effective against fungi including trichophyton, epidermophyton, microsporum, trichosporon, geotricum and candida. It is also effective against bacteria with an antibacterial action against both gram-negative and gram-positive microorganisms including M. tuberculosis and the streptomycin-resistant strains, salmonella typhora, s. aureus and in invitro tests it was shown that it inhibits vibrio cholerae, klebsiella pneumoniae, m. tuberculosis and m. pyogenes. Chemical Analysis: Oleic acid, stearic acid, palmitic acid, linoleic acid; triterpenes including limonoids such as azadirachtin, salannin, meliantriol, nimbin, nimbidin, meliantriol, deacetylazadirachtinol, salannin, salannol, 3-deacetylsalannin. Various lower fatty acids. 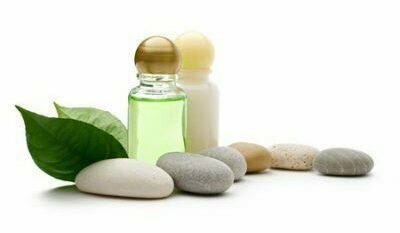 Precautions: Neem should NOT be given internally to the weak, very young or the old and must be avoided by any pregnant women, or women trying to become pregnant. High continuous intake can cause liver problems. Neem can, when taken internally, produce a toxic effect in humans and result in diarrhea, nausea, vomiting, acidosis and encephalopathy. Taking neem internally is not recommended and taking internal doses as small as 5 ml have killed infants. Do not use on pets. Allergic contact dermatitis to neem oil: an underrated allergen? Effects of graded levels of Azadirachta indica seed oil on growth performance and biochemical profiles of broiler chickens.